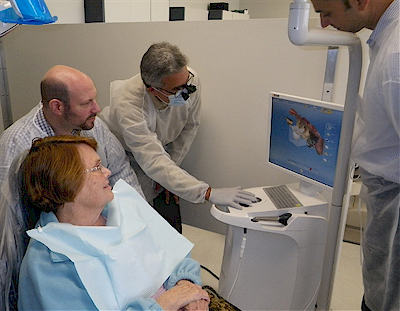 The Atlantic Coast Dental Research Clinic (ACDRC) has been providing dentists from Palm Beach, Broward, Martin and Miami Dade counties with first-class dental continuing education for over 40 years at an incredible value. Fulfill your continuing education requirements with outstanding instructors and a state-of-the-art clinic… all without the hassles and expenses of traveling. Both the young and the experienced dentist will benefit from our courses. Interested in training in dental implants? We have several hands-on courses that will give you the knowledge ans skills to implement the restoration and/or placement of implants in your practice. Cosmetic dentistry as part of your general practice is important to you? We have a course for you. Come and learn by listening to experts in their fields in the morning, and develop the confidence to do the work in the hands-on clinical session in the afternoon. Joining us is easy. Just click on our courses and instructors page and pick a course that interests you, then go to the registration page and fill out the form. Your registration can be completed easily online. Participating in one of our courses can get you more than forty AGD approved continuing education credit hours and develop mentorships and frienships that you will enjoy for a lifetime. 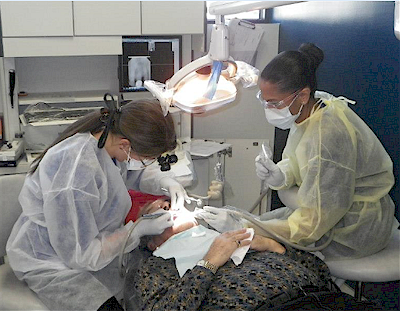 The Atlantic Coast Dental Research clinic has been designated an approved Program Provider by the Florida constituent of the Academy of General Dentistry. This Program Provider’s formal CDE programs are accepted by the AGD for membership maintenance, Fellowship and Mastership credits. The current term of approval extends from April 17, 2012 to May 31, 2016. Welcome to the 2018 – 2019 Atlantic Coast Dental Research Clinic Educational Experience. We have a great line up of dental courses covering a diverse range of subjects all taught by experts in their field. The clinic is a very unique educational environment providing both hands on and didactic education. 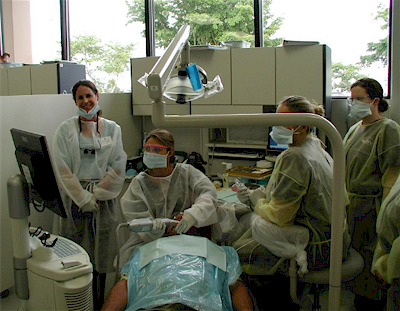 What makes our clinic special (and much different from lectures or dental school) is that all of the students are practicing dentists with a wealth of experience. This allows for bilateral learning, improving the experience for both student and instructor. With the informal atmosphere, instructors and students are able to share ideas and discuss concepts in great detail and then explore them chair side in the clinic. A secondary benefit of the clinic is the development of camaraderie, a chance to interact with your fellow professionals. For those of us who practice as solo practitioners, it is easy to get immersed in the day to day operation of the office and it is easy to become isolated. It’s wonderful to be able to exchange ideas and help out our fellow practitioners.